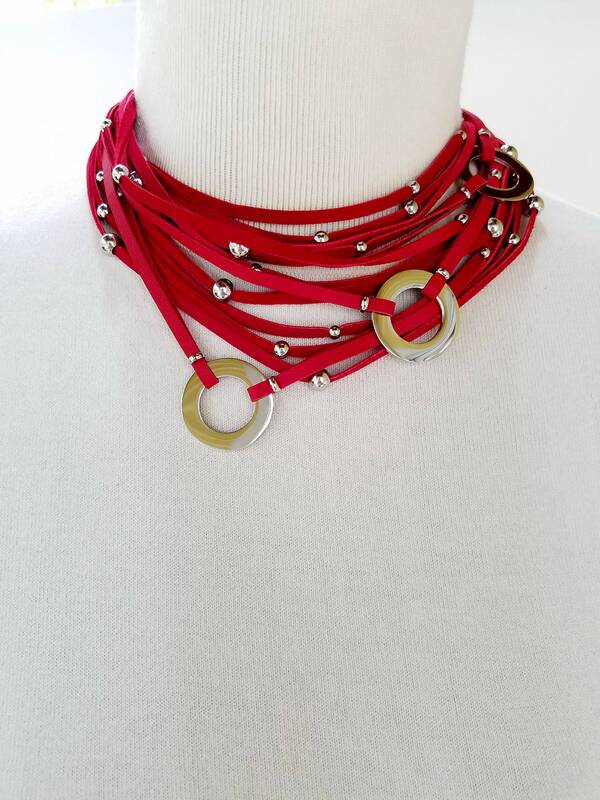 100 % Genuine Red leather Accented with 3 Large Stainless Steel Rings and Beads. 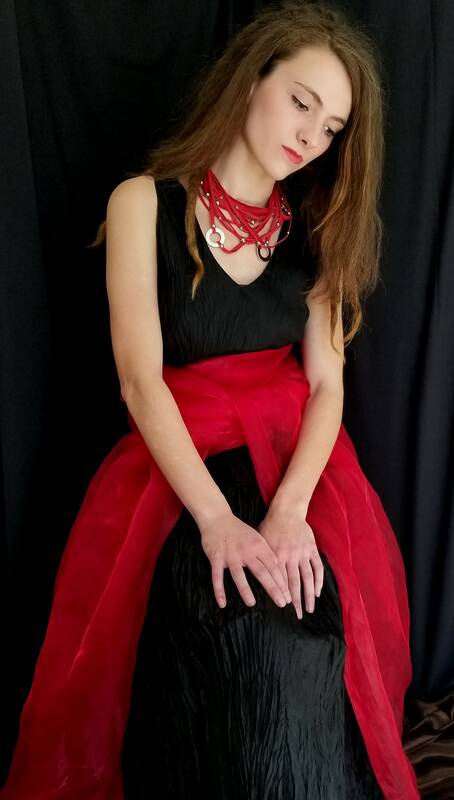 Very elegant to use at work or a night out on the town. The leather is hand cut by me. It has a large clasp for easy connection.